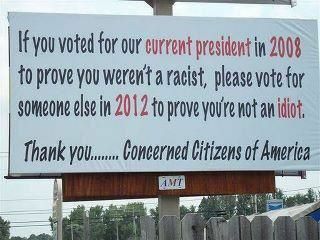 Dear Concerned Citizens of America, STOP and THINK! The Anti-Incumbent party has grown since I last wrote you that we should join forces and change things. If you haven't noticed Obama is losing favor among the young. Which was who pushed him into office. So in the spirit of this new youth movement I am proud that we do learn from our mistakes. So my message today relates to actually looking around and opening your eyes. Not only do you need to watch the internet and see what your friends are saying. You also need to actually talk to people. Talk to the candidates face to face. Cain proved that in Florida people did want to meet him and shake his hand. Democrats - It is not the Tea Party's fault that nothing can get done! Tea Party - Stop praying and get to work on compromising for the good of the country. Remember it is not what you want that you are fighting for, it is what the country wants and needs. This continual political fighting over the everyday business of Washington is getting old and fast. Get past your petty differences and get to work. Otherwise we will replace you. We will Vote for the Other Guy (gal)!